According to figures from the Office of National Statistics, there was 21.4% increase in deaths in December 2015 and January 2016 compared to the months of July, August and September 2015. Equally, the NHS reports that more than 80,000 people a year need hospital treatment for injuries during the festive period. So what are the dangers and why is December such a high risk month? It’s well documented that road traffic accidents; falls, trips and slips; poisoning; and accidents caused by fire are the main offenders. Alcohol and drugs are connected to many of these, and given that Britons drinks 41% more in December than the annual monthly average this perhaps comes as no surprise. Drink driving is always a focus over the festive period and road traffic accidents generally increase due to a number of factors including alcohol related incidents, increased traffic and poor weather conditions. 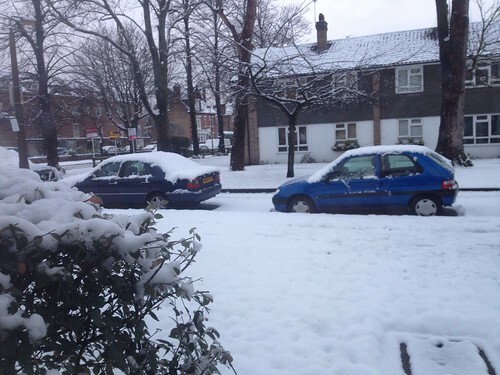 In 2010 when we had the ‘big freeze’ the AA reported a 23% increase in car insurance claims, in just one weekend! Many such accidents are of course just that – an accident. We all know that no matter how carefully you are driving, if you hit an area of black ice you can completely lose control. However, I’m sure I’m not the only one who mutters when an over confident driver comes zooming by in conditions that are clearly dangerous. These drivers not only increase their own chances of getting hurt (and if this was the only consequence, I would be less concerned), but they also increase the likelihood of crossing the path of an innocent victim. The weather certainly has a lot to answer for. Not only can it cause chaos on our roads, but even just venturing out for a walk can be treacherous. Slips, trips and falls as a result of snow and ice are a major cause of serious injury. There are thousands of hospital admissions each year due to falls in snow and ice. In addition, every year there are deaths from drowning after falling through ice, and many of these incidents happen when someone tries to rescue a dog or another person. Staying at home isn’t necessarily the answer though. Injury at home is no less of a concern. Every year, about 100 people are injured by their Christmas tree, and around 350 people per year are hurt by Christmas tree lights! This includes people falling while they’re putting up lights, children swallowing bulbs and electric shocks or burns from faulty lights. Fire is one the most serious hazards associated with Christmas and you are apparently up to 50% more likely to die in a house fire over Christmas than at any other time of year. When we bring a tree into our homes, cover it in lights and flammable decorations and surround it with paper and cardboard boxes, we inadvertently create a risk & potential fire hazards. 1. Check your (indoor and outdoor) decorative lights for worn or damaged wires. It’s best to replace rather than attempt to repair. 2. Limit the number of lights you connect based on the maximum wattage. Going beyond this can cause lights to overheat and catch fire. 3. Beware of using extension leads – even if there is space to plug in four appliances, it does not mean it is always safe to do so. Check the current rating of the extension lead and never overload by plugging in appliances that together exceed the maximum current rating. 4. Keep your Christmas tree away from heat sources such as candles, fireplaces and heaters. 5. Water real trees daily to keep them from becoming dry. 6. Always turn off the lights when going to bed.